Henry Ford once said “Whether you think you can or whether you think you can’t, you’re right,” which goes right to the heart of how crucial belief is to achieving success in any context. Though this quote refers to people’s belief in themselves, from the leader’s perspective, the same could be said of your view of the people you lead: Whether you think they can or can’t, you are probably right. No leader will make it very far without a belief in people and no leader will make it very far without the help and contributions of others. In fact, a leader without followers can’t really be called a leader at all. Anytime you set out to do something on a large scale – whether it’s in a corporation, the military, a university, or any setting where there is a group of people – the question will always arise of how you get people to work together in a committed way toward the same ends. Leaders need to invest their trust and belief in the people they need to succeed. 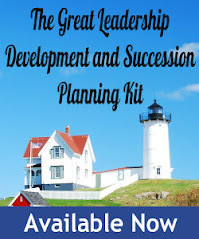 These are essential components of doing great things together and getting leading-edge results. I’m not talking about blind trust here – trust needs to be built with open and discerning eyes. It’s common sense. Anything you accomplish together as a team starts with the belief that the job can be done. By believing in their employee’s abilities, intentions, and trusting them to deliver, leaders can do a lot to inspire a can-do attitude in their people. On the contrary, they can do a lot to undermine that spirit if they aren’t careful. Believing in people and building a trusting relationship takes effort, but leaders with an edge understand that it’s well worth the effort. My father, who started a business from scratch with my grandfather in Venezuela, taught me a lot about the importance of trusting in your people. Over the course of his career as an entrepreneur, he has directly witnessed many of the benefits that I listed above. In the early 1970s, he started his business in his native Venezuela with a handful of employees and grew it to four hundred employees across seven companies generating $100 million in sales. Unfortunately, the political and economic problems in Venezuela have more recently taken their toll on his ventures, and he is back to having only fifteen employees. But the remarkable thing is that the fifteen people who remain are the same fifteen employees who started alongside him. Throughout both the ups and downs, they have stuck around for upward of forty years. These people have invested practically their entire lives in my dad and his business. My father always keeps that thought top of mind. He feels a tremendous sense of loyalty to these people, and they have shown him the same in return. In fact, it’s the most remarkable example of a shared sense of loyalty that I have ever heard. You don’t get that kind of committed, longstanding relationship without trust and belief in one another. When you have a shared reciprocal trust with employees or colleagues, it makes you feel more invested in one another and in your mutual success. It also promotes open and honest communication. People are better able to accept feedback, even critical feedback, and are more likely to be honest with you in return when you are getting off track or about to make a mistake. Honest communication creates a pleasant environment to be around one another, and you will feel more willing to help each other out. It doesn’t matter what the context is, when you have the support of trusted people it makes your job that much easier to do. Beyond all that, there is a personal benefit to the leader: It’s simply a more fulfilling way to live and to lead. When you don’t believe in people, you cut yourself off from them in significant ways that can make you feel isolated and alone. Your stress level tends to increase when you don’t have people around you can count on. I think most of us know that being cynical, wary, and distrustful of others is not the best way to lead a happy, well-adjusted life. Too many people don’t realize that it’s not the best way to be successful either. 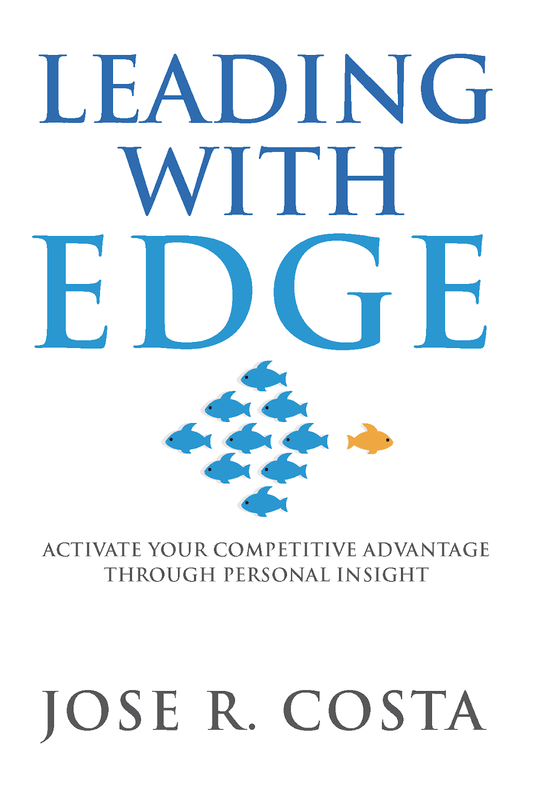 Jose R. Costa, author of Leading With Edge: Activate Your Competitive Advantage Through Personal Insight currently serves as CEO of For Eyes, which is part of GrandVision, a global leader in optical retail with more than 7,000 stores worldwide. 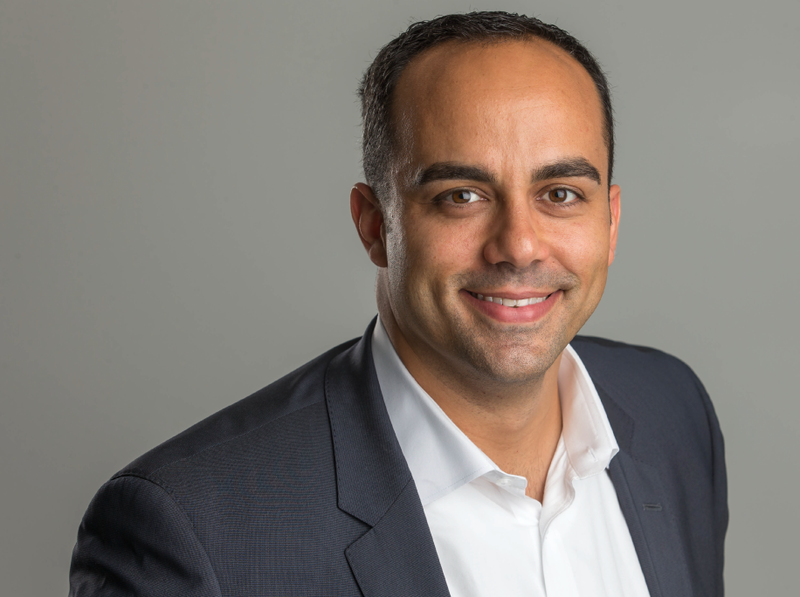 Costa has a postgraduate degree from Universidad Metropolitana, a Master’s degree in Integrated Marketing Communications from Northwestern University and an MBA from the Booth School of Business at the University of Chicago. For more information, please visit http://joserenecosta.com/book.